Buford Betty: The Phantom Ghost! 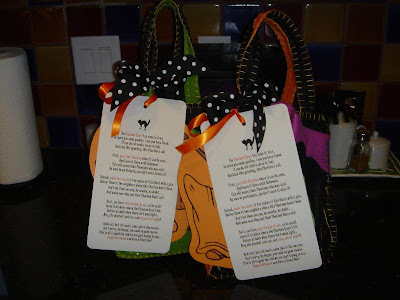 Those are the cutest boo bags I have ever seen. We usually wait to get booed but by that time everyone we know is already done. I am going to start it around here with some cute treats like yours. Thanks for the kick in the pants! Oh cute, I love that little tradition and the boys go crazy when it's "boo" time!! Cute bags! We're collecting stuff now for our "Boo Bags." Last year was our first time being "Booed" and it was so much fun! Great idea and precious bags!